In 2015 there were 1.83 million illegal crossings at the EU's external borders. While this number fell to 150,114 in 2018, Parliament has a number of proposals to remedy shortcomings in the EU’s asylum policy: from reforming the asylum system to strengthening border security, making the return policy more efficient and promoting the integration of refugees. At the heart of the Common European Asylum System (CEAS) is the Dublin regulation, which determines the country responsible for processing each asylum claim - generally the first EU country the applicant has entered. The Dublin system has resulted in border countries like Italy and Greece bearing the brunt of the migration crisis of late. As well as a major reform of the Dublin system, the European Parliament has called for tightening border controls and improving the ability of member states to track people entering Europe. MEPs also want to put in place clear Europe-wide rules for distinguishing regular migrants from refugees, to ensure fair and equal treatment of asylum-seekers, and make sure that every member state contributes its fair share to solving the problem (for example by participating in the relocation of refugees). 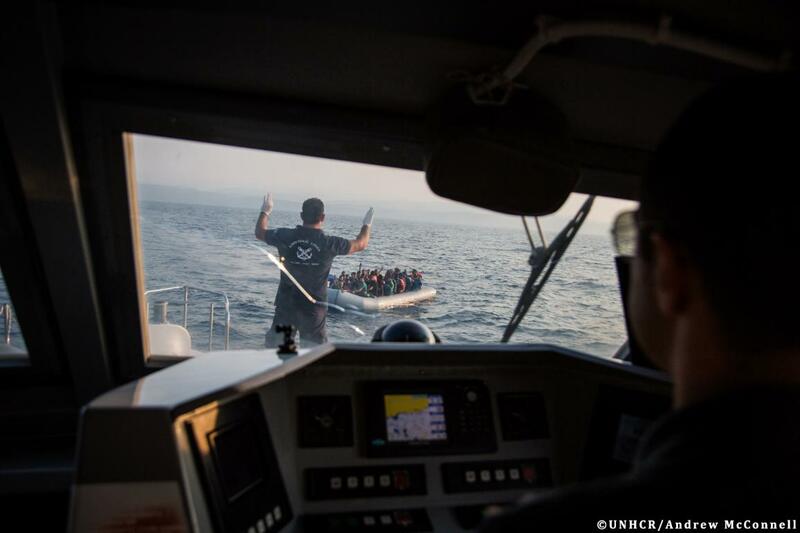 The refugee crisis put enormous pressure on national border authorities. Parliament called for a strengthening of the EU border agency Frontex, and in December 2015, the European Commission put forward a proposal for a new European Border and Coast Guard with the aim of reinforcing the management and security of the EU's external borders and supporting national border guards. The new agency was launched in October 2016. There are plans to give the agency a standing corps of 10,000 border guards by 2027. Members have also backed a proposal to strengthen the current European Asylum Support Office (EASO) that will become the EU Agency for Asylum. In addition to the March 2016 EU-Turkey deal to return all irregular migrants coming to Greece via Turkey, the EU is also taking measures to make its return policy more efficient. MEPs also want the EU to adopt a long-term strategy to help tackle the root causes of migration. The EU is also taking steps to help migrants integrate into societies in their new home countries. MEPs are debating a detailed action plan on migration proposed by the Commission. Parliament is also proactive and has called for more funding for programmes to create new opportunities such as jobs and education for vulnerable groups and refugees in particular. MEPs have also stressed the need to reach out to small business owners and create incentives to hire migrants.